I love these bands. When I heard they were doing a split, I instigated my way into doing the album art. 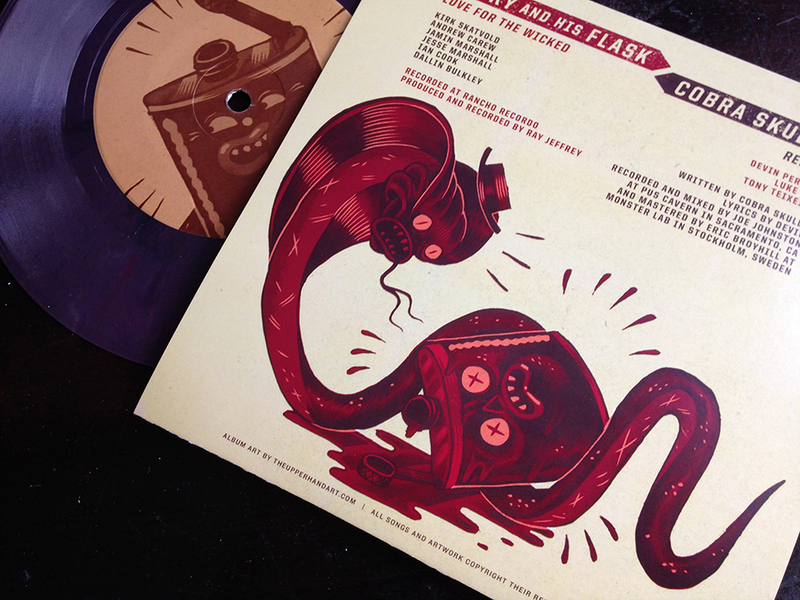 The front portrays a hanky-panky cobra, hanging with a full flask. 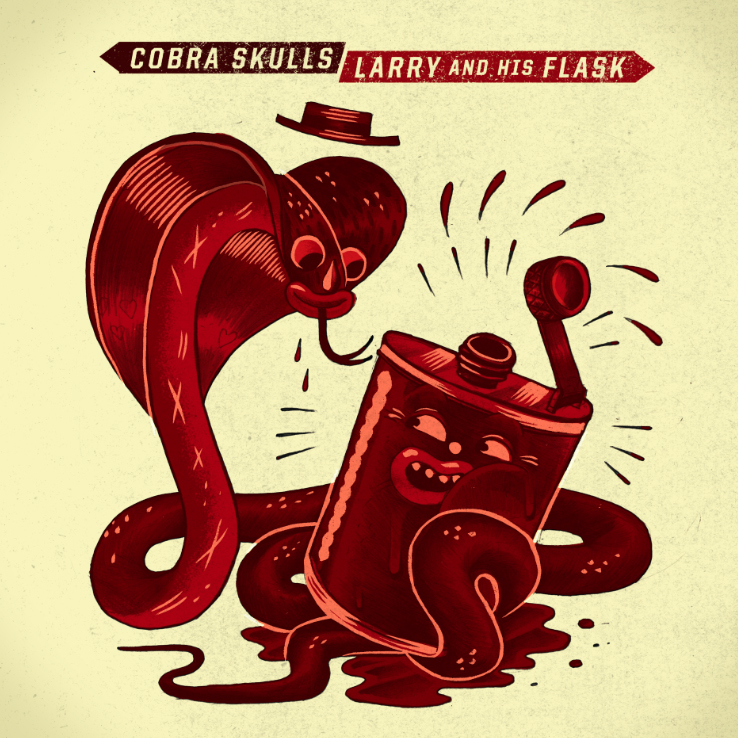 But the cobra died on the back, and the flask fell victim to the cobra’s venom. Asian Man Records released 500 copies I think? It’s crazy that I did something for Asian Man; I used to go nuts for that label growing up. Very happy with this whole project.